We can confidently say that the meaning behind the term “POS system” has undergone a considerable update in recent years. And if the acronym POS until recently meant specifically – point of sale terminal, now it conveys much more than this. Nowadays, the point of sale is only one of the features available when implementing an end-to-end system. Below we would like to acquaint you with some of the key functionalities of an up-to-date POS system. 1. Professional business assistance with great potential. Thanks to modern technology, cloud-based POS systems aid business owners in the automation of daily tasks. Here we are not talking just about stock and cash flow, but also about the overall optimization of all processes such as – tracking all system input from different access points, implementation of a reservation system, unifying various channels for making reservations and last but certainly not least, developing a customer loyalty program, connected to various mobile applications and websites. Streamlining such processes means your system will be discernable, precise, informative and most importantly not prone to errors. Use all of the above-mentioned features to your advantage in order to be thoroughly informed about all processes. After all, it is this interconnectedness which is of the utmost importance for the development of your business. 2. POS system analysis, reports and structural planning. If you feel that you cannot afford to undermine your investment due to a lack of information, you are no exception. Fortunately, your POS system contains all the necessary data. It is your accountant’s most trusted assistant as it can generate a wide range of reports based on their concrete needs. Supplying your accountant with all the information needed, will help them to avoid making costly mistakes. Make use of the POS system as a PR and HR specialized tool. As we already mentioned it can be connected to a variety of platforms and mobile applications. As a result, you can advertise, plan, keep your potential customers informed and receive valuable feedback, which facilitates your business and overall strategy. The POS system improves the logistics of a food and beverage establishment. For example, the time between completing ordered dishes, specific customer requests, etc. This automates the communication between staff and respectively improves the level of customer service, which naturally results in satisfied customers likely to keep coming back. Apart from this invaluable benefit, the data you are able to collect will keep you in touch with their habits and preferences. Moreover, you will also be able to identify good practices and areas for improvement. The POS system does not only speed up all the processes, but it also tracks staff efficiency. You will have information about which employee helps your business to increase profits and will be able to reward them personally. Provided your staff performs well, especially during slower periods, you will be able to analyze the input orders as the POS system will show you the respective upward tendencies. 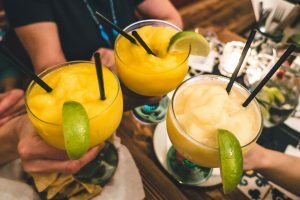 All in all, it should not be forgotten that the staff is what can make or break any food and beverage establishment, so rewarding them appropriately is of paramount importance and a delicate matter, which should not be overlooked. All of the above-mentioned POS capabilities are a reality and if you are not applying them, then you are not taking full advantage of all the functionalities provided. 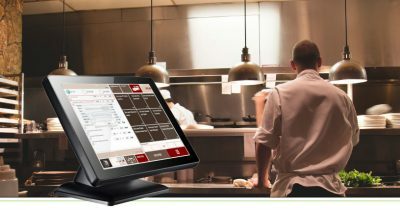 Review your POS system and establish to what extent you employ its features and if you need to upgrade. Please do not forget – your POS system is much more than a point of sale service.